Vern Raburn has been described as a tsunami; he can’t be controlled or stopped. Eclipse Founder and CEO Vern Raburn outside his Albuquerque plant with some of his employees, getting ready to test flight the Eclipse 500 jet. “The Eclipse 500 jet is going to happen, and anybody who thinks it isn’t, or says it isn’t, better sit down!” said the CEO and founder of Eclipse Aviation Corporation. Eclipse Aviation has created a luxurious, six-place, twin-turbofan aircraft bizjet that costs less than most used turboprops. 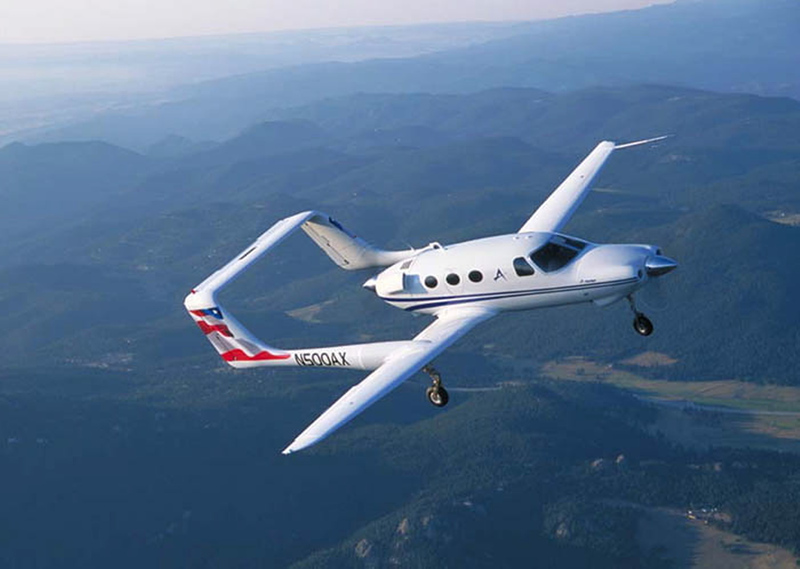 Raburn said the 500 is more economical to own and operate than most of today’s single engine pistons and all multi-engine pistons and turboprops. 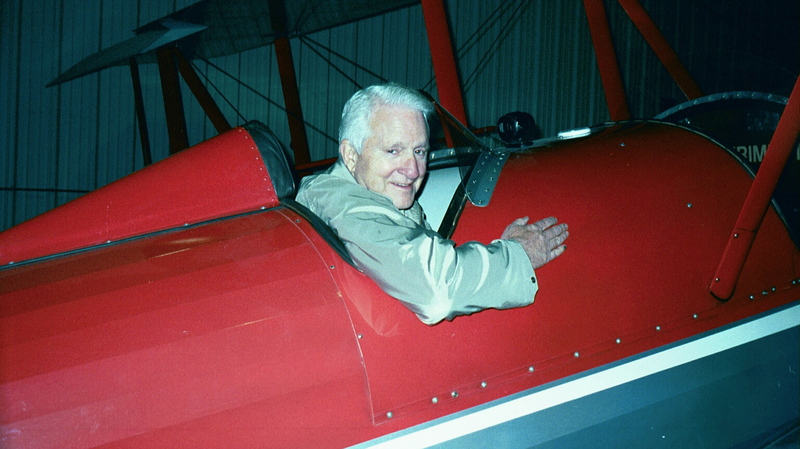 Raburn, a self-proclaimed “aviation nut,” was one of Bill Gates’ first executives at Microsoft. He went on to run Symantec as its CEO and chair, and to oversee high-technology investments as president for Microsoft cofounder Paul Allen. He talks candidly about his “jealous” competition and running a company where the phrase “good enough,” isn’t used, as well as describing why his new technology is worth taking the risk and why the Williams International engine was a fiasco. Raburn has logged more than 6,000 hours of flight time and has earned his multiengine, instrument, commercial and rotary ratings. 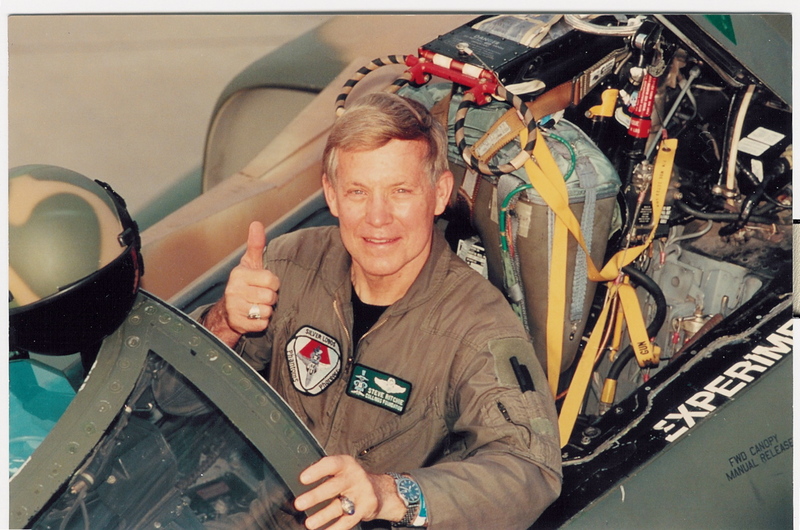 He holds a low-altitude aerobatic certificate, and is type rated in more than 15 aircraft types, from World War II bombers to piston airliners to modern corporate jets. 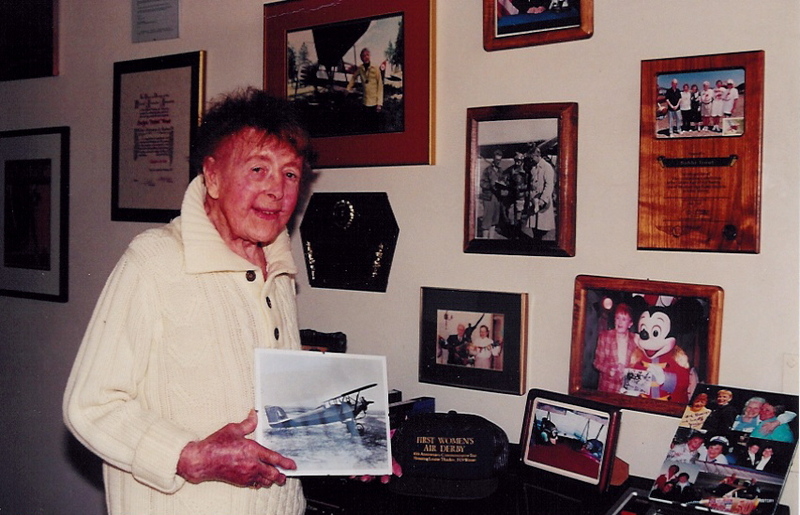 He’s on the board of directors of the Experimental Aircraft Association and owns vintage aircraft including a Lockheed Constellation, which he fully restored, a North American SNJ-5 and a Douglas A-26 Invader. 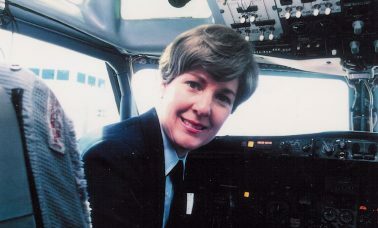 While working for Allen, Raburn served on numerous boards and piloted a Cessna Citation jet to participate in directors meetings across the country. 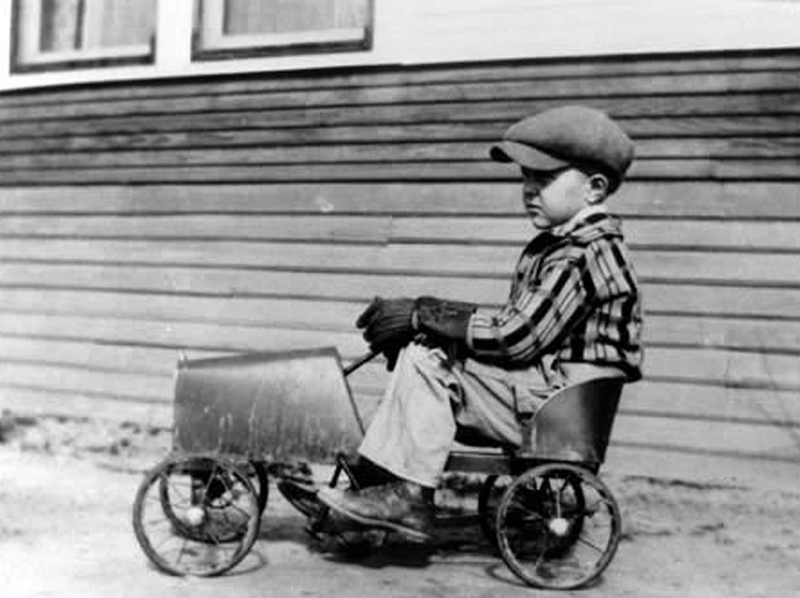 After doing that for several years, he concluded there needed to be a more economical alternative. Raburn shaped the course of the information technology revolution. He opened one of the nation’s first computer stores, the Byte Shop of Westminster, Calif. He served as executive vice president to the Lotus Development Corp., where he played an integral role in the successful launch of Lotus 1-2-3. Additionally, he was CEO and chair of the Slate Corp. During his career stint in high technology, Raburn consistently led companies to the highest levels of success, and by the time he left Gates, he was executive vice president. 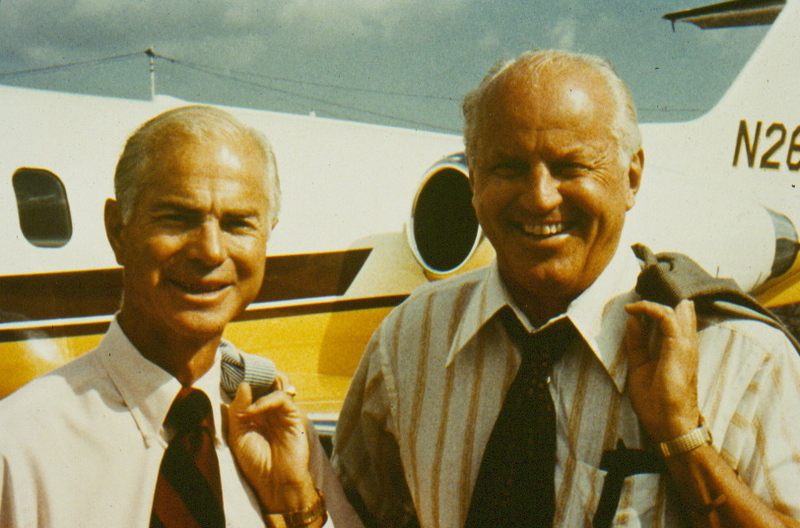 Raburn created the Eclipse 500 twin-engine jet with the idea that point-to-point, on-demand air travel should be affordable to a higher percentage of the population—especially executives who needed to get somewhere fast. Raburn says he’s keenly aware of “how business is done and how risk is taken.” He said be became a “zealous believer” that he could raise money to produce the Eclipse 500 jet. He did exactly that. He raised $325 million in private equity capital. Now, his luxury jet, which has an all-leather interior, sells for $950,000. Certification on the bizjet is set for early 2006. “I knew we were at the right point from a technology standpoint to create an airplane that offered a significantly better value proposition,” he says. “All 260 of us here have poured our hearts into this aircraft. The Eclipse is a highly digital aircraft and all of the would-be competitors for us are very traditional in their power systems and power controls. Raburn says that as far as price is concerned, they have no competition. However, in the small business jet group, the Adam 700, Aerostar FJ-100, ATG Javelin, Avocet ProJet, Chichester-Miles Leopard Six, Cessna Citation Mustang, Diamond D-Jet, Eclipse 500, HondaJet, Maverick Jet and Safire Jet are considered contenders. 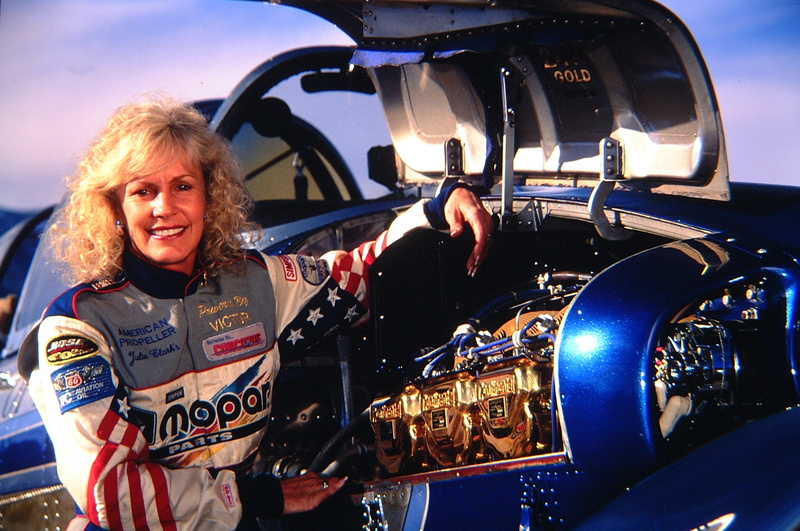 Raburn, who said that the Eclipse 500 underwent its first scheduled flight test last October, using Teledyne Continental Motors engines, disputed that remark. Raburn said that using state-of-the-art acquisition technology, the Eclipse’s 55-hour testing period was equivalent to 150 hours of traditional testing. The Eclipse isn’t flying right now, but it’s scheduled to fly again “sometime this year,” using Pratt & Whitney Canada engines. Raburn also said that Adam is flying a “one-off, hand-built prototype,” referring to the A700. “So, yeah, he’s kind of flying right now,” he quipped. He added that Adam Aircraft has missed every stated certification date on the A500, the company’s carbon-fiber composite, pressurized, twin-engine aircraft with centerline thrust. “He’s missed four of them now,” he said. 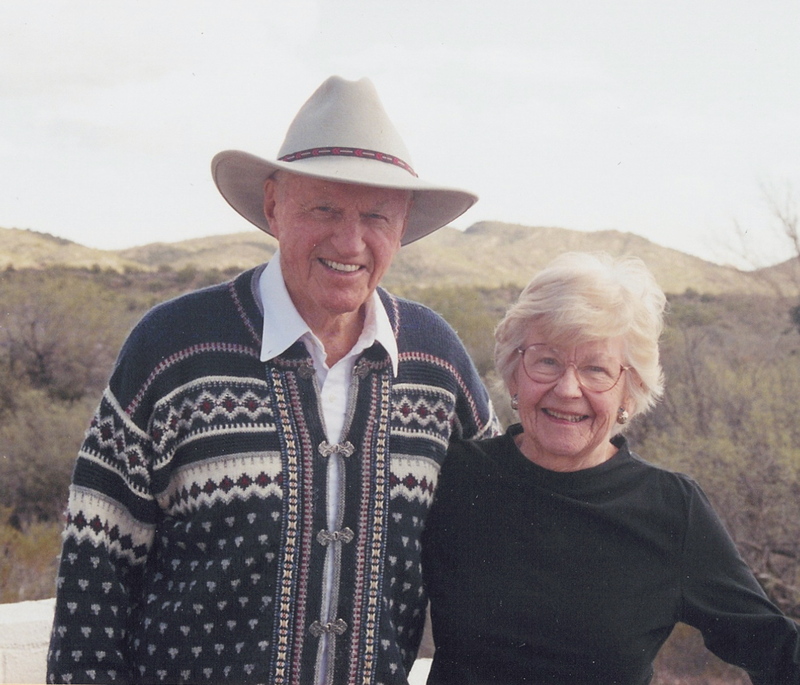 Raburn said the matter was settled out of court; they separated in November 2002. Now, Pratt & Whitney is Eclipse’s engine supplier. “This is aviation history because Pratt has never developed a new engine for a new airplane, for a new company,” he said. Raburn said Pratt paid for the development of the engine. Raburn says Safire Aircraft in Florida is also making progress. Raburn added that he doesn’t believe Safire will be able to sell their jet for $1.395 million as they forecast. When asked why the Eclipse 500 went up from its original price of $837,500, Raburn explained that the increase was due to the engine change. He expressed distain over stories reported in the media in which competitors said that he would never get the Eclipse 500 off the ground. Raburn said that general aviation has been dead for about 40 years, with few exceptions. “That’s the bad news; it’s worse for consumers of aircraft because it’s resulted in companies like Cessna, Raytheon and Piper building one more of the same thing and charging more money for it,” he said. He said that although the GA industry has fewer customers, manufacturers still charge more money for aircraft because they’re making a profit selling fewer planes. He also said manufacturers have “no incentive” to take any risk. Raburn explains there are two basic reasons for this. “You have to acknowledge that in 1978, the industry built almost 18,000 airplanes, but by 1992, we built only about 600 airplanes in that year,” he explains. “What you have is several generations of management in these companies where their job hasn’t been to innovate, to take risk or to do something new; their jobs have been to survive in a collapsing industry. Raburn said that attitude changed when he appeared on the scene. The truth is that Raburn can’t help himself when it comes to change. “I’d get bored without it,” he says. As change goes, Raburn doesn’t favor all-carbon fiber composite aircraft yet. However, Raburn said if you were talking about a large aircraft such as Boeing, that truism is actually applicable because in big parts, such as a rudder on a Boeing 777, which is made of composite material, that one part is lighter. Raburn says you only need to look back at history when the all-aluminum Comet airliner first came out, which crashed and killed more than a hundred people; the crash was due to metal fatigue. Raburn believes composites are an unknown, un-quantified risk. Nevertheless, the Eclipse 500 does have some composite material. Raburn said that point-to-point air taxi service is the future of GA.
Raburn said the future of GA travel would consist of thousands of small jets that get you from point A to point B within a radius of 500 miles from some 10,000 small airports in the United States. Out of 10,000 or more airstrips in the U.S., only about 550 have any kind of scheduled airline service; it’s clear to Raburn there’s a huge market. When asked why it takes so long to build a new airplane, Raburn laughed and said his board of directors ask that same question all of the time. He says automobile manufacturers don’t have to deal with the same scrutinizing regulatory oversight that an airplane company does with the Federal Aviation Administration. When asked how big he’d like to see his company grow, that question took him back to the time when he said he learned a lesson. Because of that, Raburn is hesitant to say and he doesn’t want to brag. “Our plant is capable of building 1,500 jets a year; we’ve never said we’d do that, but right now we think we probably will build 1,500 jets a year,” he said, based on the fact that they’ve sold 2,100 jets so early in the game. If orders continue as they have, they plan on going to full production capacity. Raburn reveled they’ve taken in $75 million in deposits, and delivery positions on the 500 is $97,000—which is a nonrefundable deposit against guarantees. “We know our buyers are serious this way; we know we can count on that sale,” he said. When asked how he’d like to go down in history, he said that being “the one that brought an alternative way to travel” in GA, wouldn’t be bad. 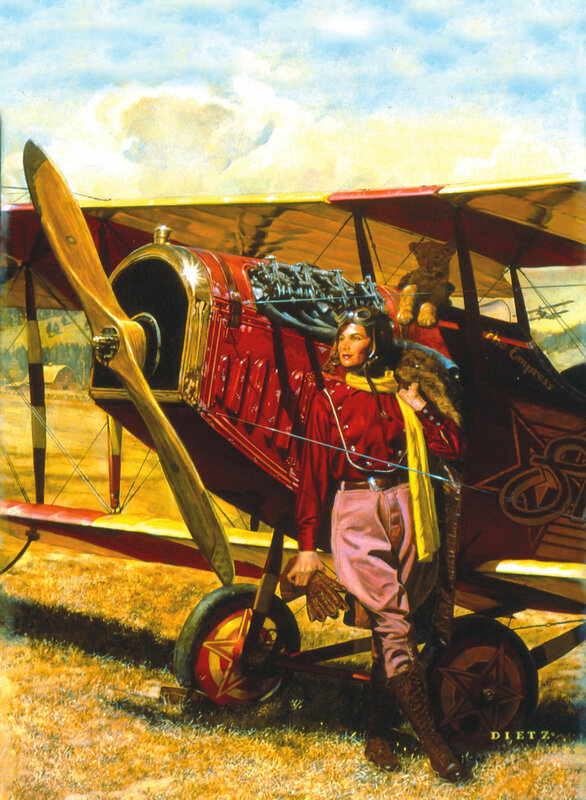 “I know many pilots who tell their wives, ‘Oh don’t worry dear, this is for transportation,’ but it’s really about going out and getting that $500 hamburger on Sunday afternoon!” he laughed. “There’s nothing wrong with that. We’re a nation who spends a couple trillion dollars a year on recreational things. 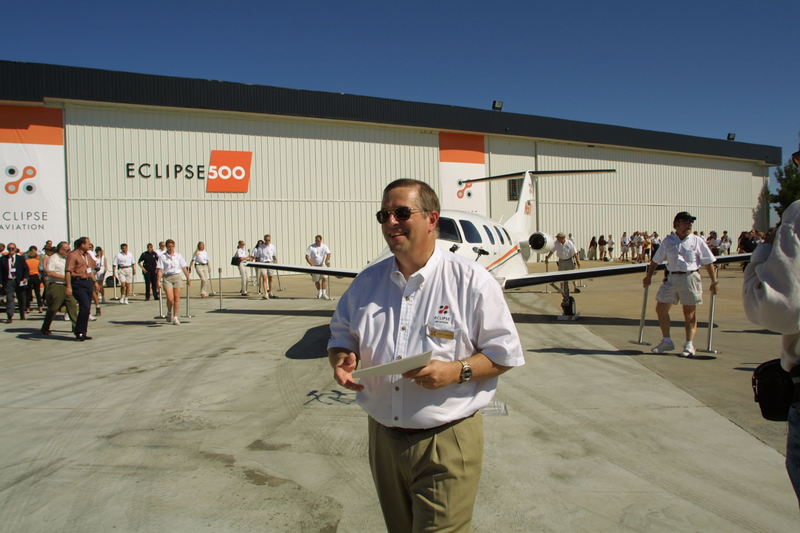 Raburn’s wife, Dottie Hall, Eclipse’s vice president of marketing, said the initial interest in the Eclipse 500 came from “the Verns of the world”—aircraft owner-operators, including entrepreneurs who fly their own planes for business and pleasure. She said Eclipse’s first wave of orders, more than 500 came from exactly that niche. However, many executives still like their flashy, expensive luxury jets. “But it’s becoming increasingly difficult to defend the high-end aircraft,” Hall says. Raburn agrees with his wife, and adds that it’s great to own a $40 million Gulfstream, and there’s a market for that. Raburn says there’s a gold standard known in the aviation industry about small turbofan engines. “It’s not Williams, not Garret or Honeywell; It’s Pratt & Whitney,” he said. “I had got to know those guys up in Canada, even when we were working with Williams. Through acquaintances, I had reached out to them back in 2000. The maximum cruise speed on the Eclipse is 375 knots. Raburn also signed a 10-year agreement with Hampson Industries, the British firm that is a supplier to Rolls-Royce, Boeing, Airbus and Short Brothers. “We signed a $380 million contract with Hampson to make our tails and component parts,” he said. The contract with Hampson’s Aerospace Fabrications & Assemblies division is the largest single contract ever awarded to the company. Fuji Heavy Industries and Raburn signed an agreement, where the Japanese firm will manufacture the Eclipse wing assemblies and license Eclipse’s “friction stir welding process,” which was pioneered by Eclipse. “These contracts demonstrate Eclipse’s commitment to search globally to find the most qualified partners, who share our vision to change the way people travel,” Raburn said. Eclipse recently signed other long-term contracts with six other suppliers for their Avio computerized control system, which previously was only available in advanced military and commercial aircraft. The system includes two on-board computers that will send and receive information to and from a power distribution unit on the 500; it will coordinate everything from lighting to cabin pressure to avionics controls. The system will warn the pilot of an unsafe operation and try to figure ways out of problems. Raburn says getting what he wants is easy. Why? Because he wants so little: just to invent, be happy and be in the company of smart people. He’s a man living for today, absent of regrets, and places a high value on contributing to the world and having fun at the same time. “I was always labeled as the guy who couldn’t keep a job,” he laughed. “When I’d get bored, I’d go to something else. In the cafeteria of life, I have at least another 10 years at Eclipse. 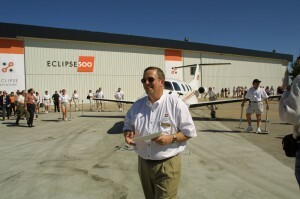 For more information, visit www.eclipseaviation.com or call 877-375-7978.